Many people also think that noodles originated from Italian pasta to appoint the first to make noodles. However, many historians believe that when Marco Polo visited China in the 13th century, he liked the noodles and bring it to Italy and influenced cuisine in the country. In fact, the noodles are not a staple food in Italy until the 17th century and 18. 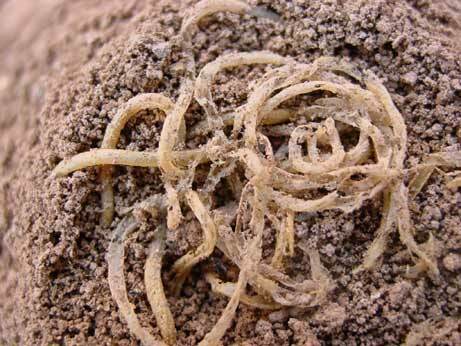 In Asia, noodles are not so much to spread until about AD 100. In that year, the noodles became known and liked in some countries such as Japan, Korea, Vietnam, Laos, and even island nations in Southeast Asia and Asia. 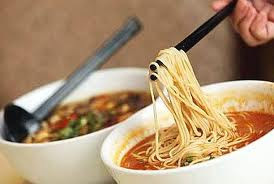 In Chinese culture, noodles are a symbol of long life. Hence, the traditional noodles are often served on birthdays and during Chinese New Year as a symbol of longevity. So the Chinese version of the birthday cake was the birthday noodles. In Japan, noodles incorporated into the Japanese tea ceremony and make the noodles are considered as a separate art in the country. Noodles become even more important in Japan after World War II, when shortages of food and only dried noodles available. There are several types of noodles are popular in mainland Asia. Whether it be thin or thick, flat or round, made from wheat or rice, noodles every type has its own history in the culinary world in his country. Trace the usage and history, is quite complicated because it involves inter-state culinary culture for centuries. The oldest noodles ever found resembling modern Mie La Mian in China. La Mian literally means "pull noodles." 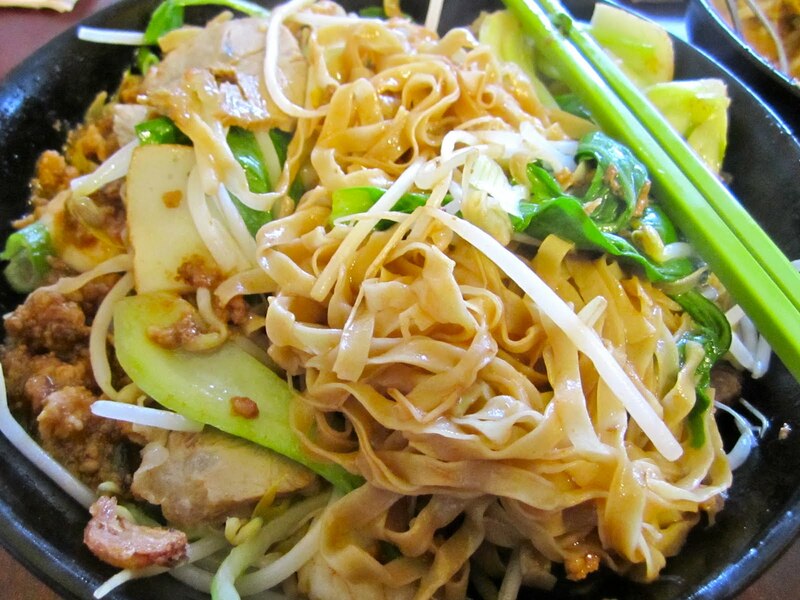 These noodles are made by hand and made ​​from wheat. The trick, noodle dough is twisted and pulled to a length which is then cut into thin. 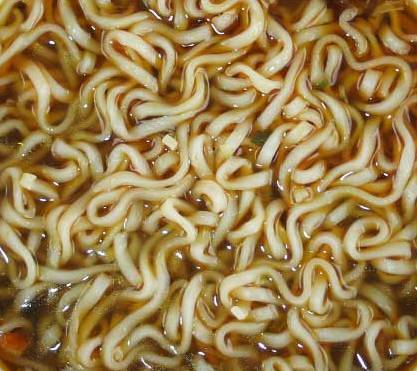 This type of noodles used in soups and fries. 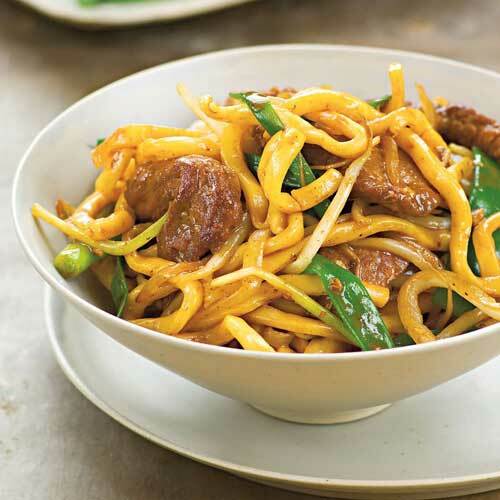 La Mian Noodles Lo Mein Noodles similar to Cantonese, but much thinner than most Lo Mein Noodles served in America. Many say that Ramen Noodles are made based on the Mie La Mian. That's because the evidence which in Chinese language, "Ramen" means "Lamian". Vice versa, in which the noodles used in ramen called "Chuka Men" in Japanese or "Chinese Noodles". Men Chuka form very thin wheat noodles are also commonly used for other Japanese dishes, such as Champon (pork fried with seafood, vegetables and broth). Similarly, popular in Korean cuisine, or Yakisoba fried noodles that are similar to Chow Mein in China. This fact shows that it is indeed true culinary cultural exchanges in China and East Asia. Thick wheat noodles that are known by Udon in Japan. Usually served in a warm broth soup served with green onion. Udon is likely to come from China, known as Cu Mian.It is said that Japanese monk in the year 800's, brought from China Udon noodles and prove that is already entrenched in the culture of the Buddhist community in Japan. 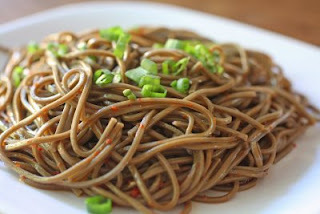 Shaped thin buckwheat noodles and popular in Japan. Soba noodles are used to make traditional chilled soup and eaten with sauce. These noodles have been consumed for centuries and became a staple food in the area of ​​Tokyo during the Edo period. When the rich, the region began to prefer a low white rice thiamine. 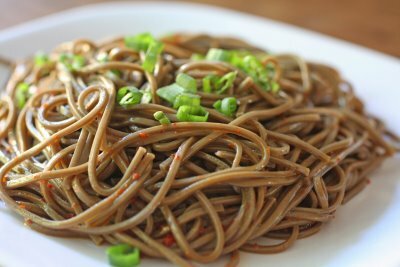 Soba Noodle is not only delicious, but also a source of nutrients the body needs.